Many penguins have been wondering about the big message that was left at the snow forts on Club Penguin earlier this week. Penguins are coming up with their own conclusions of who wrote the message. 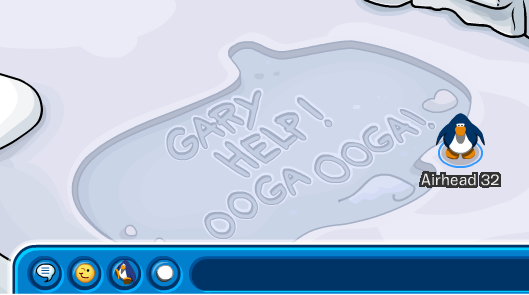 It says, "Gary Help! ", I wonder who needs Garys help and why.